Can St. John's Finally Snap Their 16-Game Losing Streak? Over the course of the last two months, St. John's has found itself in the midst of a 16-game losing streak, their last victory coming via upset against Syracuse. The Red Storm has yet to taste victory in the calendar year, but a home contest Wednesday night against Big East rival DePaul could be the opportunity for St. John's to halt that streak. Currently last in the Big East, St. John's (7-19, 0-13) has not won since its unanticipated thriller with the Orange at Madison Square Garden December 13. 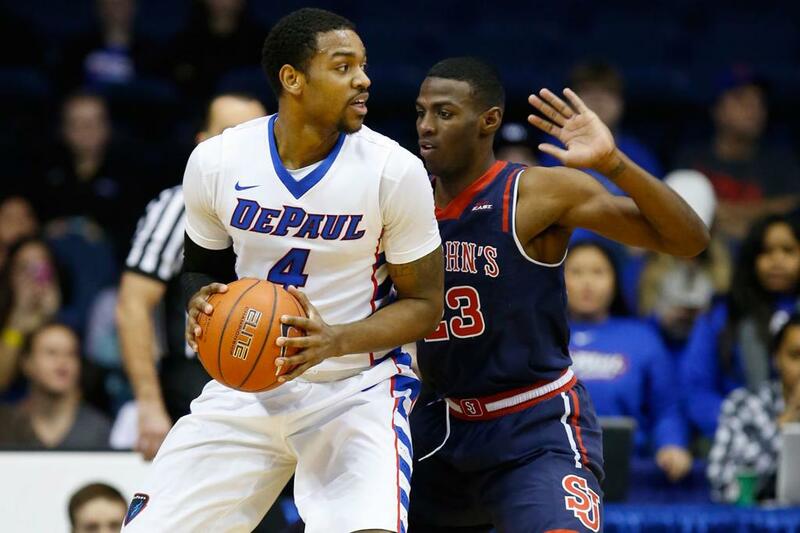 And while DePaul (8-16, 2-10) is two weeks removed from an upset against then-No. 11 ranked Providence, neither team has anything worthy of playing for with Selection Sunday less than a month away, barring a Big East Tournament title next month. Though the Red Storm and Blue Demons split last season's two meetings-with DePaul's victory coming in overtime-both teams are looking to find an identity in their final games, with the season ending on March 5 for both. In their last game against No.1 Villanova, St. John's was down by only one going into halftime, but a second half surge by the Wildcats and 25 points from veteran big man Daniel Ochefu was enough to drop the Red Storm 73-63. Sophomore Amar Alibegovic (5.3 ppg) led the team with 18 off the bench. The latter of DePaul's two game skid was also highlighted by a dominant effort from Villanova, who had five players score in double figures, led by Josh Hart's 18 en route to a lopsided 86-59 road win. The Blue Demons were led by freshman Eli Cain's 15 points, the only player in double figures for Coach Dave Leitao's team. The two teams will meet again on Thursday, February 25 in Illinois. -Wednesday night's game will be played on the campus of St. John's University in Queens, New York at 8:00 PM. CBS Sports Network will broadcast the game. -Live game updates can be found via Twitter, @BouknightReport.